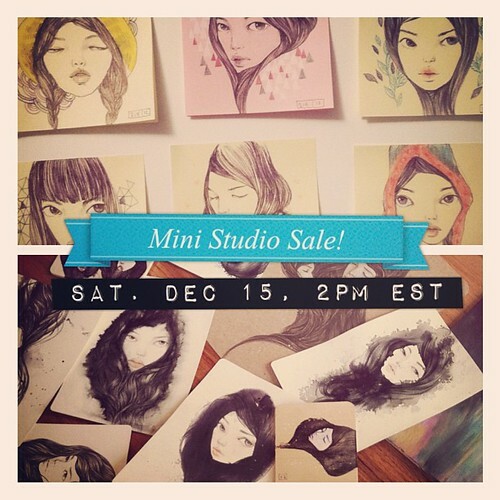 Another Mini Shop Sale on Saturday! thanks for "coming" for a peek or a purchase for my last studio sale a couple weekends ago! i was so surprised at how fast they flew off the shelf, thanks to you all. so i'm having another super low budget sale this weekend - very last minute but hope you can make it! after standing in line for hours! that will still remain affordable originals for many (cheaper than some of my prints!). i'll also have a few ink study pieces and maybe a half finished study painting listed as well. thank you and "see" you this weekend in the shop!